The Half-Way Covenant was a compromise or creative solution used by 17th century Puritans to include children of fully converted and covenanted church members as citizens of the community. The Puritans of the 17th century believed that only adults who had experienced a personal conversion—an experience that they were saved by God’s grace—and who were accepted by the church community as having signs of being saved, could be full-covenanted church members. In the theocratic colony of Massachusetts this also usually meant that one could only vote at a town meeting and exercise other citizenship rights if one was a full covenanted church member. A half-way covenant was a compromise to deal with the issue of citizenship rights for the children of fully covenanted members. Church members voted on such church questions as who would be a minister; all free white males of the area could vote on taxes and a minister’s pay. When Salem Villages church was being organized, all males in the area were permitted votes on church questions as well as civil questions. The issue of a full and half-way covenant was possibly a factor in the Salem witch trials of 1692 - 1693. In Puritan theology, and in its implementation in 17th century Massachusetts, the local church had the power to tax all within its parish, or geographic boundaries. But only some people were covenanted members of the church, and only full members of the church who were also free, white and male had full citizenship rights. Puritan theology was grounded in the idea of covenants, based on the theology of the covenants of God with Adam and Abraham, and then the Covenant of Redemption brought by Christ. Thus, the actual membership of the church comprised the people who joined through voluntary compacts or covenants. The elect—those who by God’s grace were saved, for the Puritans believed in salvation by grace and not works—were those who were eligible for membership. To know that one was among the elect required an experience of conversion, or experience of knowing that one was saved. One duty of a minister in such a congregation was to look for signs that a person wanting full membership in the church was among the saved. While good behavior didn’t earn a person’s entrance into heaven in this theology (that would be called by them salvation by works), the Puritans believed that good behavior was a result of being among the elect. Thus, being admitted to the church as a fully covenanted member usually meant that the minister and other members recognized that person as one who was pious and pure. To find a way to integrate children of fully covenanted members into the church community, the Half-Way Covenant was adopted. In 1662, Boston minister Richard Mather wrote the Half-Way Covenant. This permitted the children of fully covenanted members to also be members of the church, even if the children had not undergone a personal conversion experience. 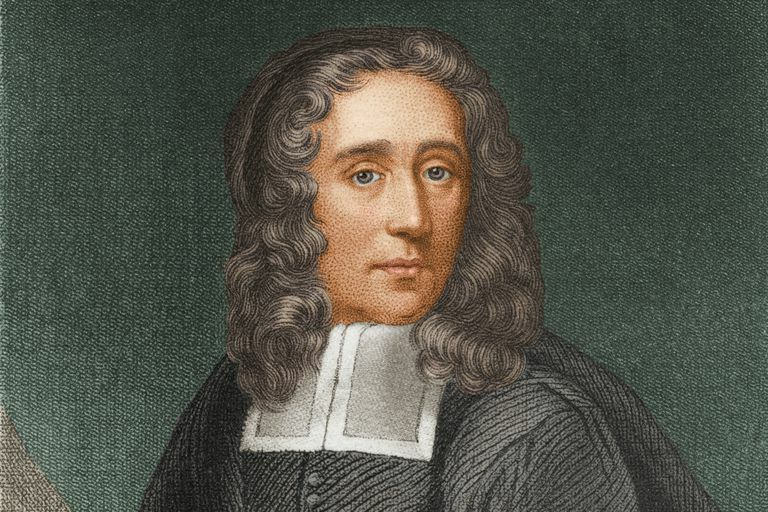 Increase Mather, of Salem witch trials fame, supported this membership provision. Children were baptized as infants but could not become full members until they were at least 14 years old and experienced a personal conversion. But during the interim between the infant baptism and being accepted as fully covenanted, the half-way covenant allowed the child and young adult to be considered part of the church and congregation – and part of the civil system as well. A covenant is a promise, an agreement, a contract, or a commitment. In Biblical teachings, God made a covenant with the people of Israel – a promise – and that created certain obligations on the part of the people. Christianity extended this idea, that God through Christ was in a covenanted relationship with Christians. To be in covenant with the church in covenant theology was to say that God had accepted the person as a member of the church, and thus included the person in the great covenant with God. And in Puritan covenant theology, this meant that the person had a personal experience of conversion -- of commitment to Jesus as savior – and that the rest of the church community had recognized that experience as valid. The individual had to be examined by the pastor or elders and found to be neither fundamentally ignorant nor erroneous. The Congregation is given notice of the proposed baptism so that they can provide testimony if they are vicious (i.e. had a vice) in their lives. The person had to publicly consent to the church’s agreed-on covenant: acknowledging Jesus Christ as savior and redeemer, the Spirit of God as sanctifier, and the discipline of the church. Children of the new member could also be baptized if the new member promised to give them up to God and educate them into the church if God shall spare their lives. How Was the Term Goody Used During the Salem Witch Trails?